"Hmmm, write something for your page on the pet friendly website" I was asked. "As with most of us, all my life I’ve had to write things which are then okayed by someone further up the tree than I was – this may only be a tiny tree but I’m at the top of it so perhaps I can write this simply to please me!" 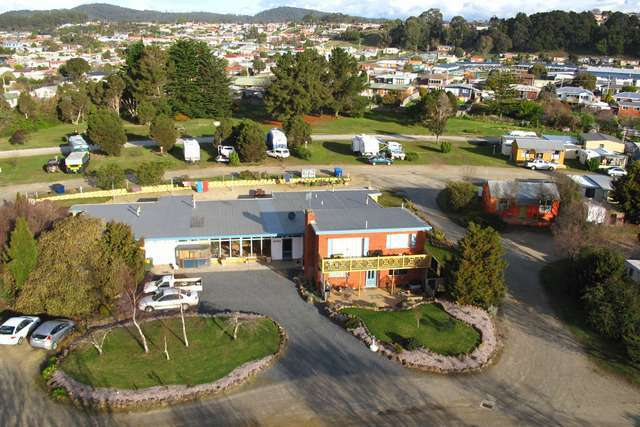 Somerset Beachside Cabin and Caravan Park is forty minutes drive from Devonport where the boat lands from Melbourne, fifteen minutes from Burnie Airport, forty minutes from the Stanley Nut and an hour and half from Cradle Mountain. The nearest major city to Somerset is Burnie, about 6 kms. Many people base their trips to the north west corner of Tassie from this park as it allows them to enjoy the drive and scenery without the constant awareness of having a van in tow. For those touring on motor bikes, there are about three good circular days riding of 3-4 hours per day from Somerset, plus numerous country rides! 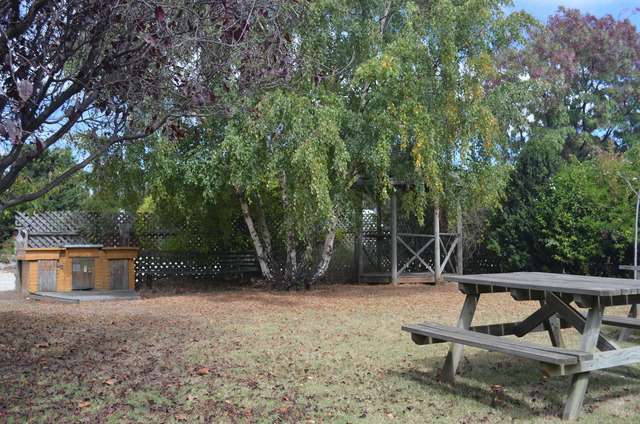 The Somerset Beachside Cabin and Caravan Park is a lovely serene park located on about 12 acres of land, The sites are large, flat and easy to get to, the cabins are simple and warm, and the ambiance of the whole place is friendly and easy. There is a beautiful café located onsite and plenty of magical gardens and fruit trees for people to walk around and enjoy. 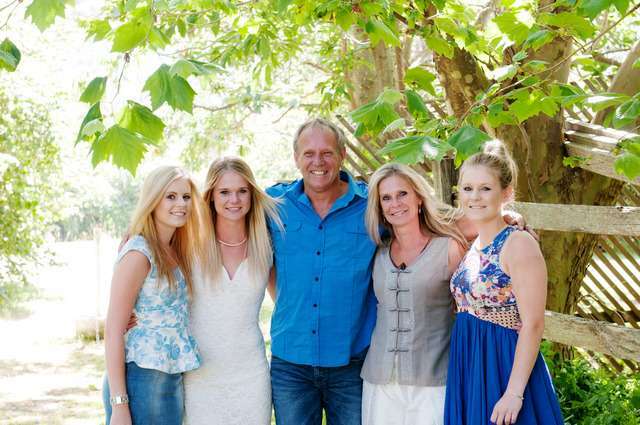 We enjoy running this Somerset Caravan Park as a small unaligned family business and our growing success has been paved by word of mouth from people who have stayed here. 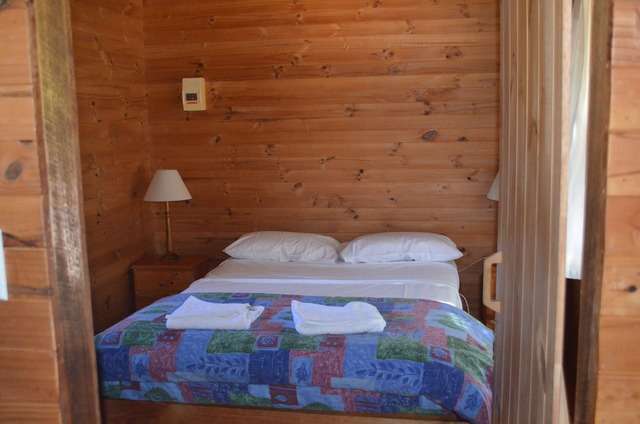 CABINS.............The chalet style cabins are beautifully simple inside. They are all pine lined and have aged to that golden yellow which makes pine feel warm and homely. All cabins have kitchen facilities which include a small stove, microwave, fridge and utensils. 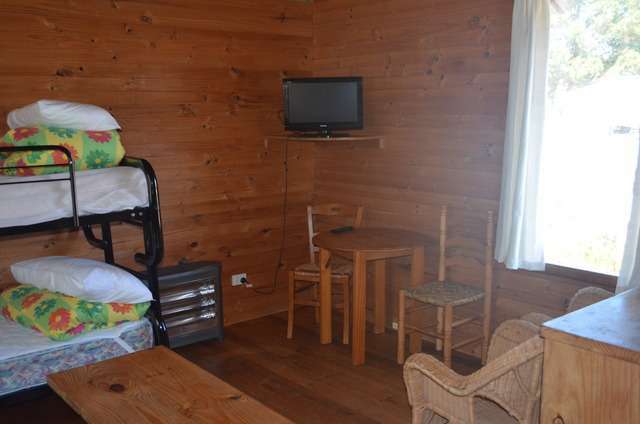 The cabins are basically in two halves, one side has a double bed and the en-suite area, the other has the kitchenette, a lounge area and a set of bunks. In all cabins the couch folds out to a double bed as well, allowing those cabins two double beds and a set of bunks...............SITES................Fortunately the park has been laid out with the camper and not the banker in mind, i.e. the sites haven’t been squeezed in at all. All of the powered sites are within about 40 meters of the amenities block (which is never locked) and all have direct access to beautiful clean water. Many sites are also surrounded by low trees which can act as a wind break. 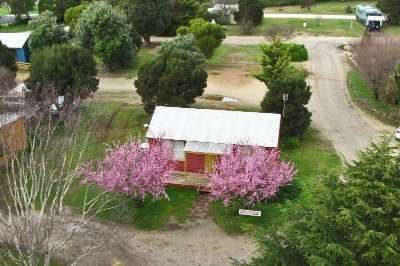 There are about 42 powered sites available on the park, and most sites can handle any length van or mobile home with ease.................The unpowered sites are located on two individual areas of about 2 acres of well kept grassland which is protected by a range of native and pine trees. The unpowered sites are about 45 meters away from the amenities block. 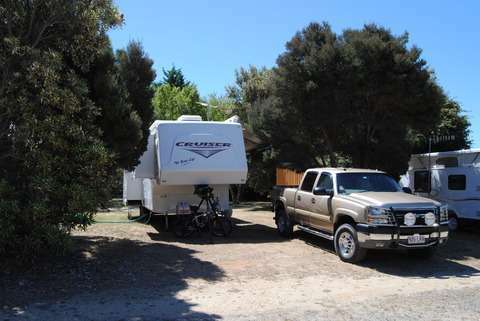 Campers have the opportunity to camp wherever they like within these areas which does almost ensure maximum privacy for those seeking it.................The park does offer an unserviced option for self contained vans which is based upon dump point usage and water. This option is open for groups of travelling vehicles with a minimum group size of three vehicle.................FACILITIES............... Camp Kitchen.................The camp kitchen is warm, light and easily accessible. Its housed within the main block and a couple of microwaves, set of hot plates, jug, toaster and fridge provide the basics for those wishing to cook inside. There is a good wash up area................Amenities Block.................The amenities block is large and exceptionally clean. Built originally to cater for the drive in half time break ( 800 people in 20 minutes!!) the conversion to provide showers (and an additional small bath in the ladies side) was cleverly done to ensure both space and privacy for patrons. The amenities is not locked and the showers are free................The park also has a laundry consisting of 3 commercial washing machines and three commercial dryers and these are supported by ample hanging space on the clothes line. Machines are all coin operated and money can be laundered at the front desk..............Recreation Room................We have a large sunny room which houses a 42" television comfortably along with some nice comfortable furniture. The room is located next to both the laundry and the kitchen and is a pleasant place to sit in the sun and read or eat some bacon and eggs!.................An eight ball table is also provided in the reception area and is free for guest use................BBQ Area.................The barbecue area is located within the major garden at the park. It’s a lovely sheltered site with ample tables for groups to use. The plate itself is a large round gas driven monster which can cater for about 15 people simultaneously. The evening sun at the Barbie is beautiful.................Gas Exchange Program....................A gas bottle exchange is available for both 8.5 and 3.5 kilo bottles..................Open Space..................The park has acres of lawn and gardens area which provides plenty of area to either walk a dog or even practice fly fishing casting ( Wayne ran fly fishing camps for decades and does enjoy getting people casting effectively).................CAFE.................Two Oaks Cafe The Two Oaks Café has to be seen to be believed! It is a handcrafted building made out of local farm rock and native timbers. It is located within the caravan park grounds and accessed via a short stroll through the gardens. They make good coffee and beautiful nourishing food. Two Oaks is fully licensed and caters for everything from large functions to small coffee stops.The cafe does regularly cater for groups of travellers staying at the caravan park - one of the most enjoyed options is a fully catered barbie based around our old shed. 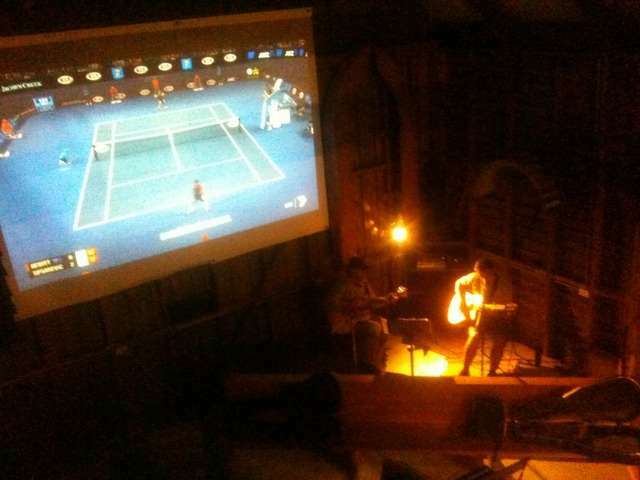 This shed has a large viewing screen, an eight ball table and a functional performance area along with guitars and keyboards.